Expedition 54 Flight Engineers Mark Vande Hei and Joe Acaba of NASA and Commander Alexander Misurkin of Roscosmos have returned from the International Space Station (ISS) in their Soyuz MS-06 spacecraft. 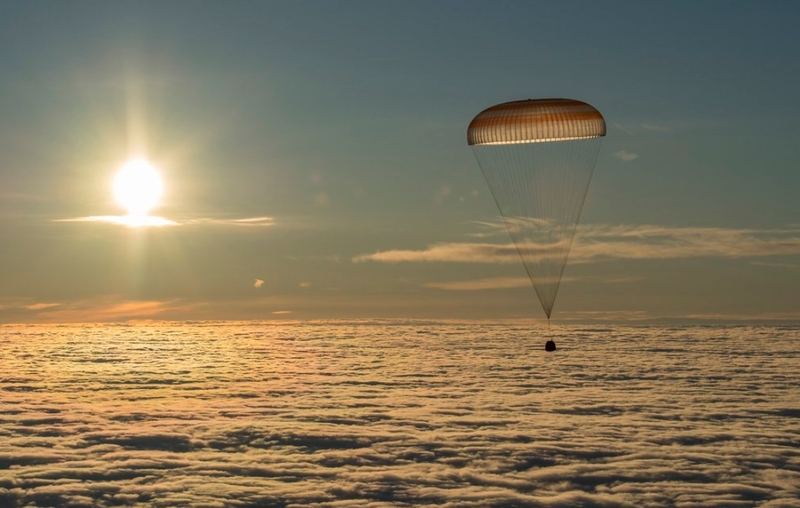 The trio landed on the steppes of Kazakhstan around 02:31 UTC. During their 168 days in space, they were part of the first expedition that began a long-term increase in the crew size on the U.S. segment from three people to four, enabling NASA to double the time dedicated to research – surpassing 100 hours of research in one week. The crew launched in September, riding on the Soyuz FG rocket. During the crew’s tour, Misurkin was involved in a record-breaking Russian EVA. Also, a major EVA task on the US side also involved the two US astronauts as work over a series of spacewalkers was completed on improving the Station’s robotic assets. Once final farewells were complete, the hatches between the ISS and the Soyuz were closed, prior to the crew completing the translation from the Orbital Module (BO) and Descent Module (SA) to strap themselves into their Kazbek couches inside the SA. As per the timeline, Soyuz MS-06 undocked from the ISS at 23:08 UTC. At the time of undocking, Expedition 55 began aboard the station. Shkaplerov, NASA’s Scott Tingle, and Norishige Kanai of the Japan Aerospace Exploration Agency will crew the station until three additional crew members arrive on March 23. 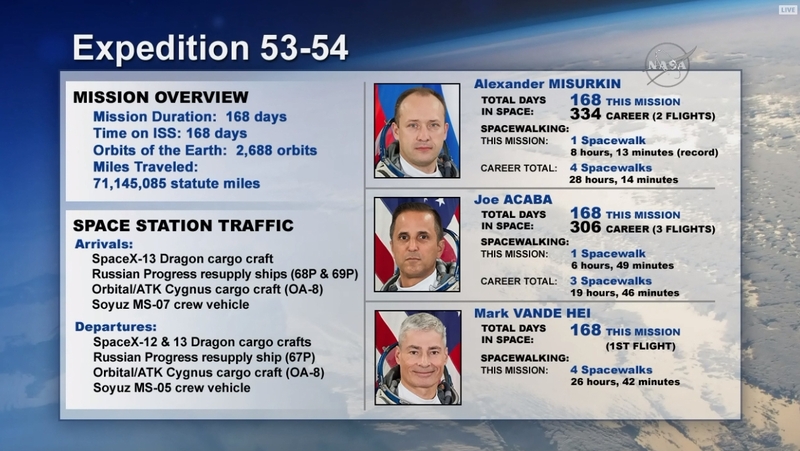 Ricky Arnold and Drew Feustel of NASA and Oleg Artemyev of Roscosmos will launch from the Baikonur Cosmodrome in Kazakhstan on March 21 for a two-day journey to join Expedition 55 on station. The deorbit burn occurred on schedule at 01:38 UTC, reducing the Soyuz’s velocity just enough for it to begin the plunge back to Earth via a 4 min, 40 second retrograde firing. The Soyuz then entered the critical part of its mission as the spacecraft has no other option but to re-enter. 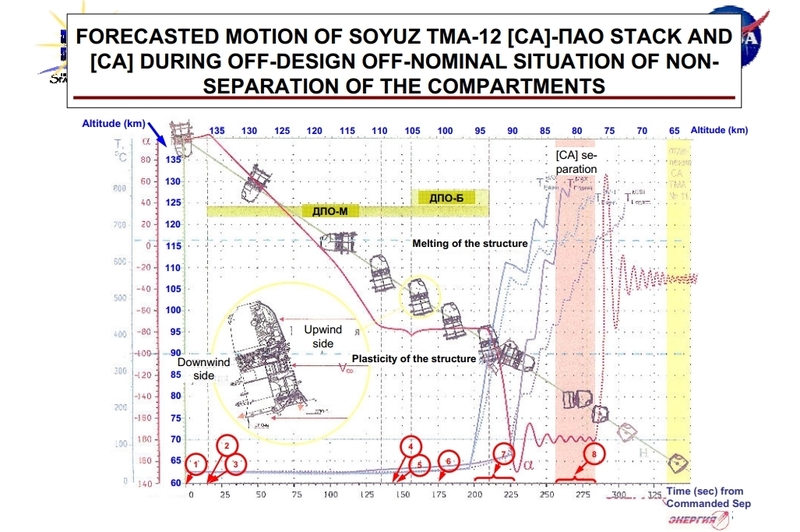 The first milestone was module separation as the three major elements of the Soyuz spacecraft – the OM, DM and Instrumentation/Propulsion Module (IPM) – are pushed apart via the use of pyrotechnics. All three modules nominally separate simultaneously – shortly after the deorbit burn was completed – at around 140 km altitude. Once through the plasma of entry interface, the capsule prepared for the deployment of its drogue chute. This readies the spacecraft for the deployment of its main parachute. This is one of the hardest parts of the return for the crew, which has been described as being inside a washing machine by some returning astronauts. 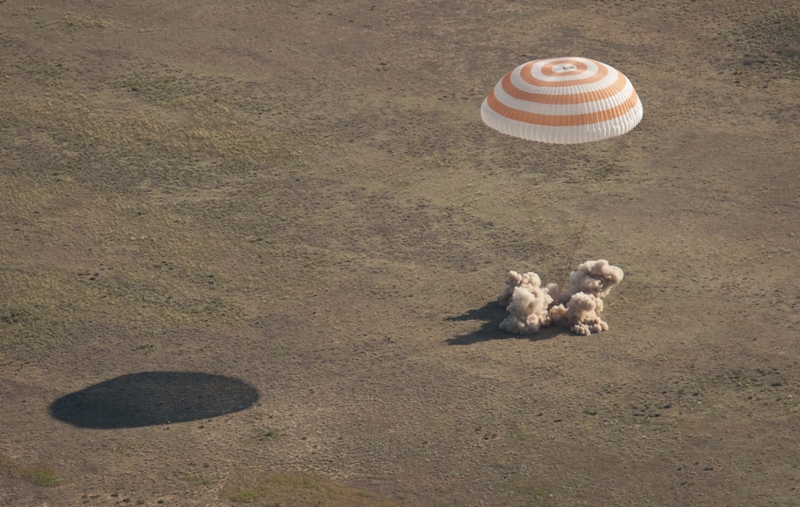 The Soyuz craft then complete the return to terra firma, landing on the steppes of Kazakhstan at around 02:31 UTC. 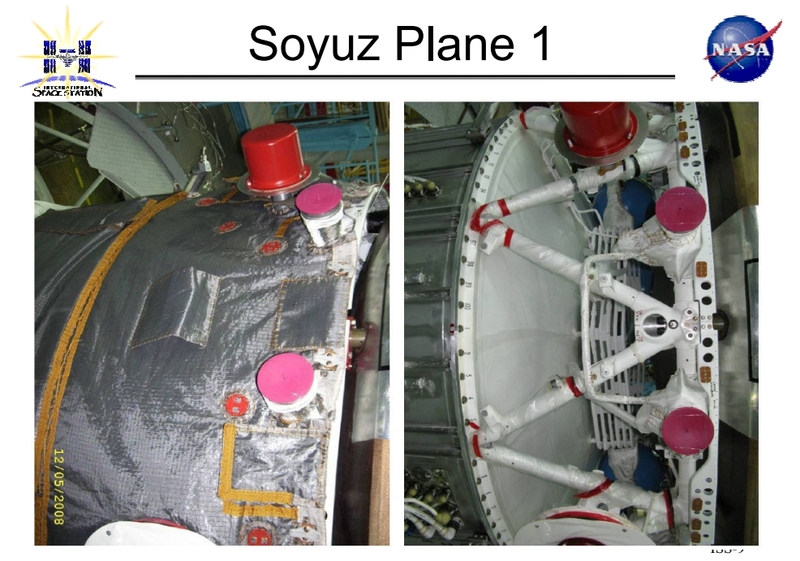 With the Soyuz safely back on Earth, ground and air crews will converge on the Soyuz and extract the crew from the SA. The crew will undergo immediate and preliminary health checks once outside their Soyuz spacecraft. All three are then transferred to a medical tent and then prepared for transit away from the landing site. Eventually, they will part ways to their respective countries and space agencies.